These multiplication worksheets introduce multiple digit problems that highlight a particularly confusing scenario when multiplying place values with a zero in them. 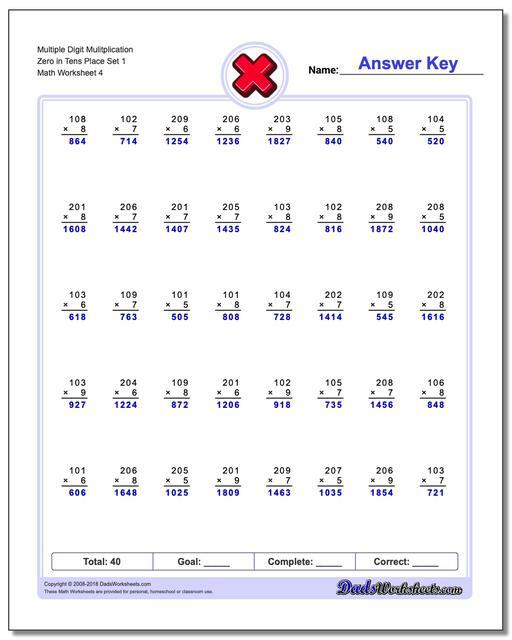 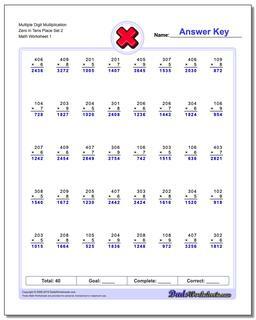 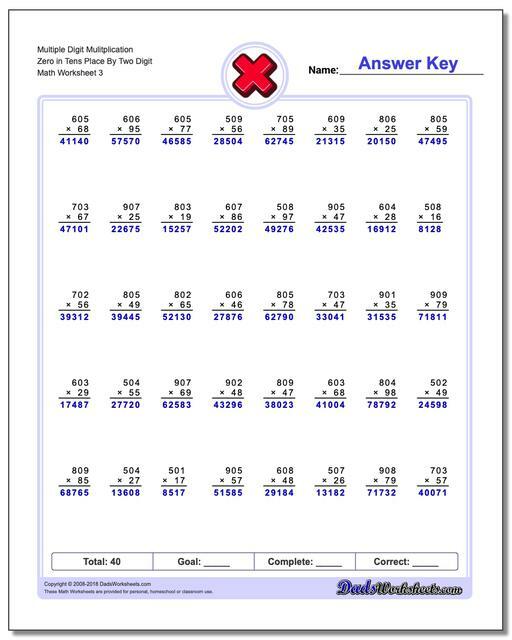 Give them a try if you are having trouble keeping track of the adjusted place values in the partial products and they will give your multiplication skills a real workout. These multiplication worksheets have three digit numbers multiplied by single digit numbers where the three digit number has a zero in the tens place. As an example, consider 207 x 3.After multiplying 7 x 3 and carrying the 2 over the 0, a student may want to multiply the tens place by 2 instead of 0 and then incorrectly adding the 2 before dragging it down to the product/answer. In such a scenariom the student might get the answer 661 instead of the correct 621.To skip the three digit x one digit makes it much more difficult when the kids encounter a three digit by two or three digit multiplier problem. It may seem like a small step to grown ups but it's a hurdle that needs to be taught to and practiced by kids.